The Himalayan bulbul is about 18 cm in length, with a wingspan of 25.5–28 cm and an average weight of 30 g. Its head, throat, and crest are black and white. The back, side, and lengthy tail are brown, the underside is pale yellow. Sexes have similar plumage. The song is a beautiful 4-piece whistle, which resembles an accelerated oriole whistle. Amazing details and colors. I like this interesting specie of birds. Lovely colors and exceptional clarity. 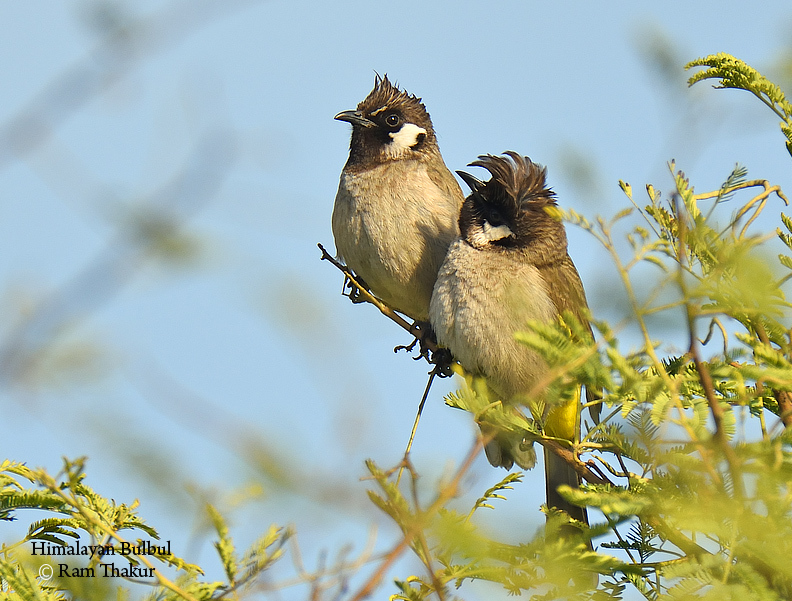 Very nice photo of these Bulbuls. Excellent sharpness and details in beautiful natural colours. Attractive composition.